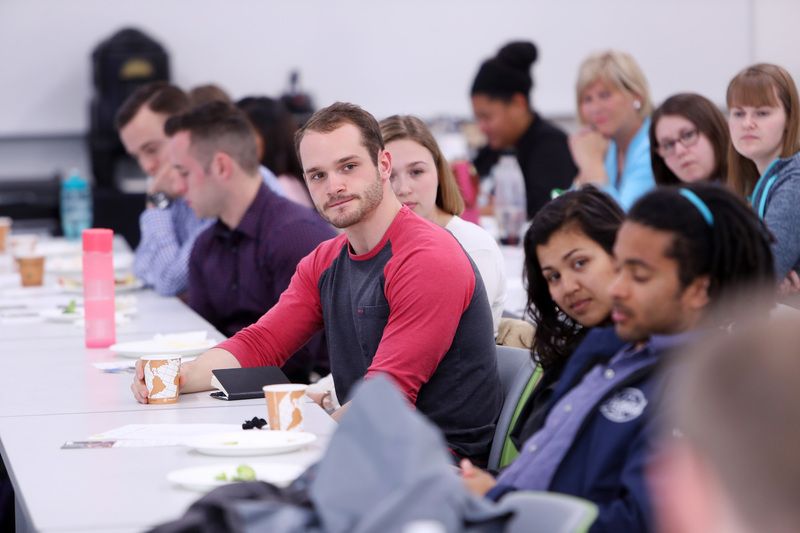 At Dalhousie Medicine, the Service Learning Program (MEDI2612) is offered during the first two years of Undergraduate Medical Education at Dalhousie University. The program integrates community engagement concepts into classroom-based learning (Professional Competencies 1) in first year with an optional community-based project experience in second year. Students who opt to take part in the “for credit” program do a minimum of 20 hours in order to complete the service learning experience during the academic year. The experience includes preparation, critical reflection assignments and a project deliverable that is relevant and useful for the community partner and the people engaged with their organization. Since the programs introduction in 2015, the program has expanded in community partners and students participating. I had the opportunity to speak with Jordan Boudreau and Allison Maybank, current service learning participants and student representatives, to capture their unique perspectives and experiences of the program during the two years. How does the Service Learning Program respond to community needs and what is the community impact that you’ve seen in the past two years? Service learning involves working with a community partner to address a community-identified need. Participants bring human resources, man-hours, and possibly institutional support to address the need that the organization may be otherwise unable to tackle alone due to lack of time, affiliations, or technical skills. The projects that were developed last year were remarkable, as were the depths of students’ reflections. This year, there are 44 students working with 24 community partners between the two campuses in Saint John and Halifax. If we consider the mandatory minimum requirement of 20 person-hours spent in the community/on the project, then that’s nearly 1000 hours spent in the name of community service and self-reflection by the class of 2020 this year. By the midpoint reflection, it seemed that many of these projects were well underway and that students had some new relationship with their community, as well as an awareness of that relationship, that they hadn’t had before. Over time, having this introduction to community programs and their populations will lead to a better relationship between the medical school and community partners and a better understanding of community populations for medical professionals. How does the Service Learning Program respond to feedback and evaluation of students and partners? The service learning program responds well to feedback and evaluations and is always eager to improve for those involved. The ability for the program to respond to feedback is one of its major strengths. When it began last year, the leadership team had already done much to try to ensure that the program would fit nicely into the curriculum established for the students. All barriers to implementation couldn’t be known before trialing the program, however; snags inevitably came up with the hectic, dynamic, and individually-variable schedules of the second-year medical students. Sarah Peddle, the program manager, made every accommodation possible to shift the program to meet the students’ requests and is continuously working to make the program as effective as possible. At the mid-year review, students noted that a chance for small funding would be helpful and within a couple months they had figured out a way to do this! Beyond managing logistics, feedback was also used to help better identify potential matches between students and community partners and to improve communication between them. Other changes were made during the recruitment phase to help students understand the nature of Service Learning and appreciate the difference between service learning and volunteering. We are eager to hear the feedback from the larger group of students and partners that are involved with the program this year. It’s important that the SLP is providing an opportunity that meets everyone’s expectations and is providing a stimulus for reflection and growth. Jordan and students at the year-end celebration for the Service Learning Program in May 2017 in Halifax. How has the program prepared you for your future as clinicians? In keeping with last year’s cohort, students are already more able to speak to the availability of, as well as the barriers and facilitators to the provision of, community resources. The credible and compassionate way in which they do this is worth considerable weight alone. 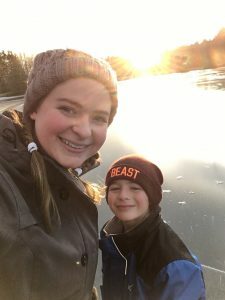 Allison and her little, Ethan, enjoying some time outside together. The service learning program is a natural extension of the everyday lives and motivations of today’s medical students. With program leadership steering the ship as they have been, and with their ability to respond to feedback from all involved, we have no doubt that this program will only grow in its ability to supplement student’s self-reflection, develop professional competencies, and help build capacity for change in the broader community and the social determinants of health of its constituents. To learn more about the Service Learning Program, please visit our website, read our previous blog posts, or email Sarah Peddle at sarah.peddle@dal.ca.